Guacamole meets the grill. 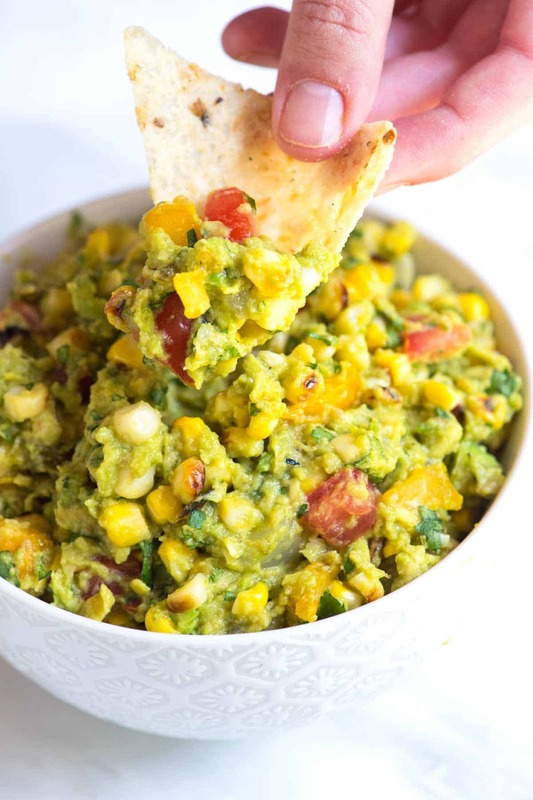 Jump to the Easy Grilled Guacamole Recipe or read on to see our tips for making it. We’ve always been curious about what would happen if guacamole met the grill. Most days, you would find us far away from anything that fussed with the classic. But after a little nudging from a brand new barbecue, grilled guacamole starring blistered avocados, corn and jalapeños was born. 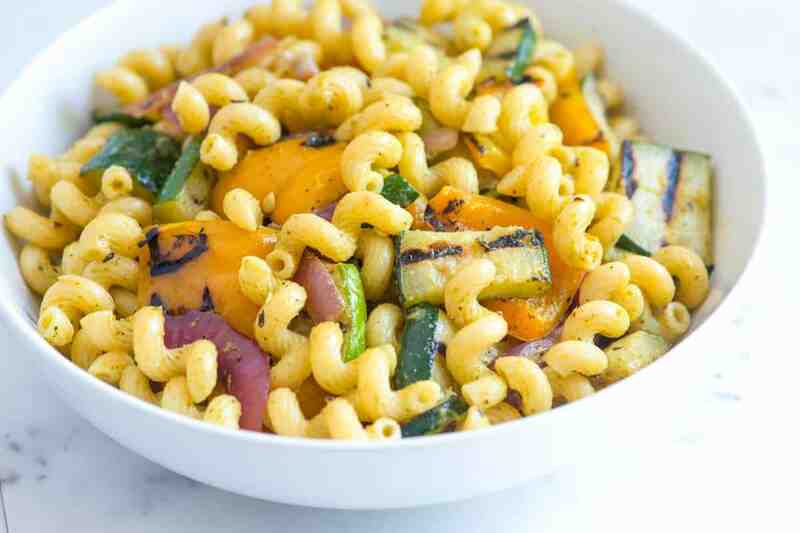 YOU MAY ALSO LIKE: Easy pasta salad recipe with a dairy-free lemon basil dressing and grilled vegetables. Jump to the Lemon Basil Pasta Salad Recipe with Veggies. Avocados are pretty delicious grilled — they become slightly sweeter, softer and look more green. We grill them unpeeled, which gives a bit more flavor. The cut side blisters and the flesh inside the shell steams. In addition to the avocados, we grill a couple ears of sweet corn, a thick slice of onion and a jalapeño pepper. 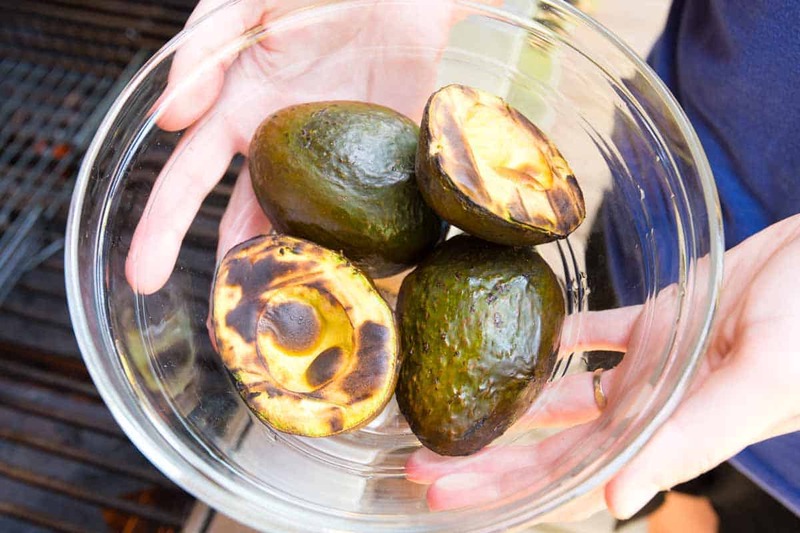 The avocados come off first — they only take about 5 minutes to grill. Everything else stays on the grill until a few of the corn kernels begin to char and the onion and pepper are soft. Once everything is grilled, the guacamole comes together quickly. Scoop the flesh of the avocados into a bowl, remove the corn kernels from the cobs, chop the onion and mince the jalapeño. For medium-hot heat, we remove the seeds and membrane from the pepper since they are the spiciest. We then mince what’s left of the pepper and add it to the guacamole. For even less heat, add about half of the pepper. Just before serving, we add chopped tomatoes, cilantro, minced garlic, salt and fresh lime then use a fork to gently mash everything together. Spicy Avocado and Pineapple Salsa Recipe — Easy pineapple salsa recipe with avocados, jalapeño, red onion, and fresh lime. Easy Avocado Egg Salad — Avocado adds a twist to classic egg salad. Easy avocado egg salad recipe with celery, fresh herbs and lemon juice. 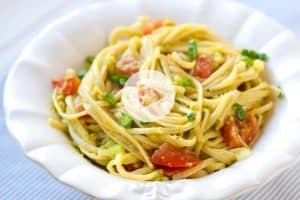 Fresh and Easy Avocado Pasta Recipe — 15-Minute Avocado Pasta! This pasta comes together so quickly with no fancy equipment needed. 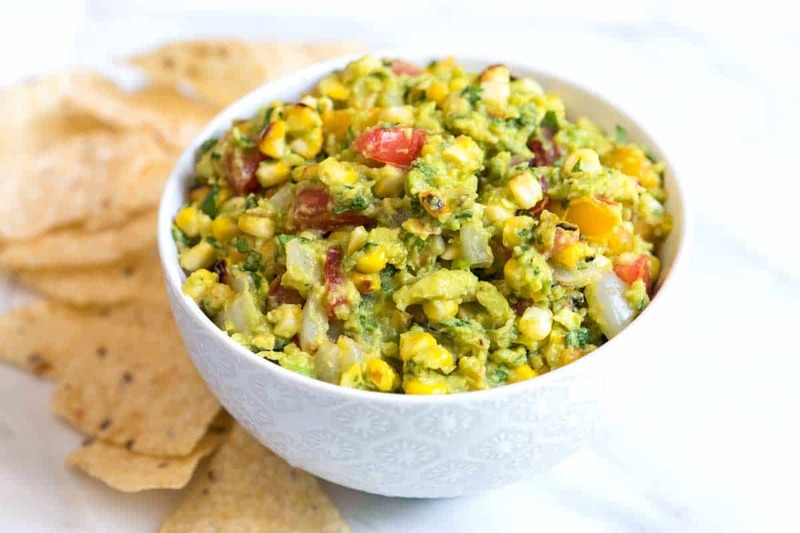 Grilled guacamole starring blistered avocados, corn and jalapeños is a must make, especially if you love guacamole as much as we do. Adjust the heat based on your tastes, if you love heat in your guacamole, add the whole pepper called for below as well as some of the membrane and seeds. If you like things on the milder side, consider discarding all of the pepper membrane and seeds then only add about half of the leftover pepper. Prepare a grill, with heat medium-high and rack about 4 inches from the fire. Or, heat an indoor grill or grill pan to medium-high heat. Place avocado halves, cut side down, corn, onion slice and jalapeño onto the grill. Cook until avocado and vegetables begin to char, about 5 minutes. When underside of avocado is blistered, transfer to a bowl and set aside. Turn the corn, onion and jalapeño until all sides are slightly blackened then transfer to cutting board. Remove corn kernels by standing the grilled corn cob upright. Hold the cob steady and use a sharp knife to make long downward strokes against the cob, separating the kernels from the cob. (It can be helpful to place a dishtowel between the cob and work surface to prevent slipping). Chop the grilled onion. Remove seeds and membrane from grilled jalapeño then mince finely. (It is the seeds and membrane that have the most heat, for medium-hot heat, we discard the seeds and membrane. If you like things spicy, save some seeds and membrane to add to the guacamole). 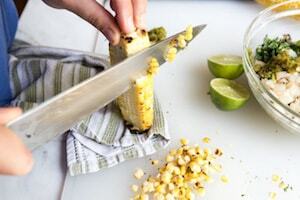 Scoop grilled avocado into a bowl then top with corn kernels, onion and all or some of the jalapeño pepper, depending on how spicy you like your guacamole. Add tomatoes, garlic, cilantro and salt then squeeze the juice of one lime on top. 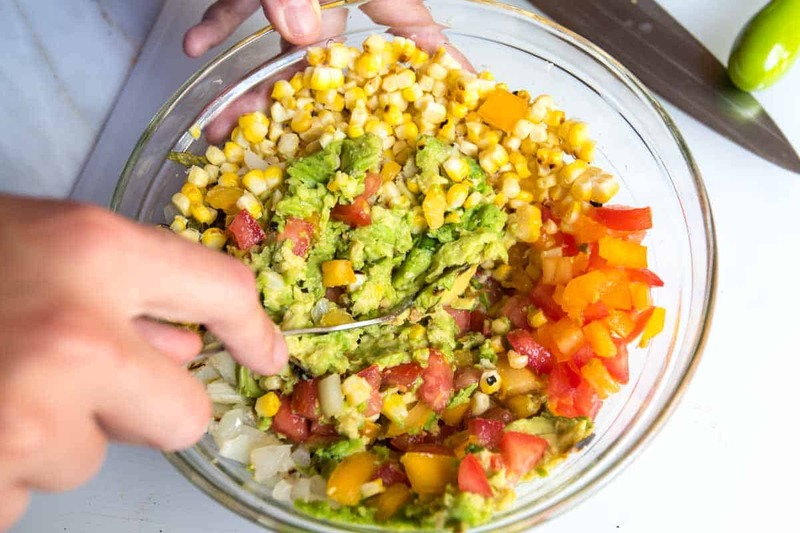 Use a fork to gently mash and mix the guacamole (we like it pretty chunky). 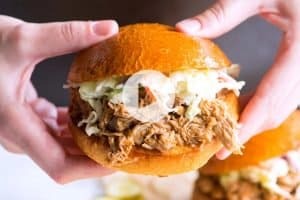 Taste for seasoning then adjust with additional lime juice or salt. 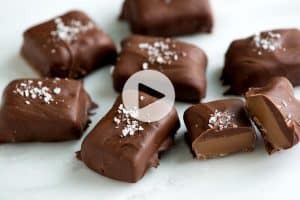 I actually had to interrupt dinner to leave a comment on this one – I’ve made tons of your recipes but this one is far and away my absolute favorite. You guys really knocked it out of the park! The sweet grilled onion in here is what really sets this one apart – well done! 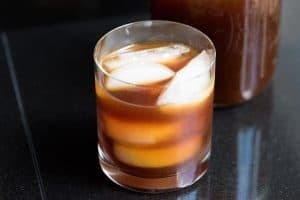 Will be making this for years to come!